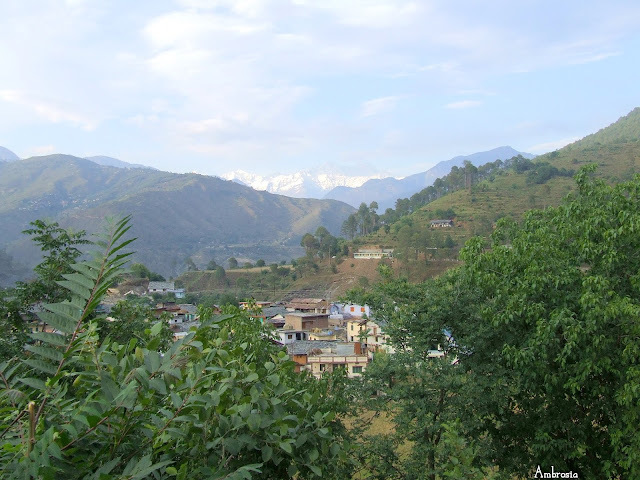 Kumaon…... is the land of the Himalayas, the abode of the Gods. Kumaon is also the land of the seers, the ascetics and the mystics. It is the home to rare fauna and flora. Himalayas have an inimitable enigma and charisma that have attracted nature lovers, artists, philosophers and spiritualists since times immemorial. The mesmerizing sunrise and sunset on the snow clad mountains, gushing waterfalls, frothy steams and rippling brooks, alluring glens and majestic glades and resplendent forests enthrall one and all. vagaries of nature have made them hardy to withstand the severity of the weather and the toughness of the terrain. 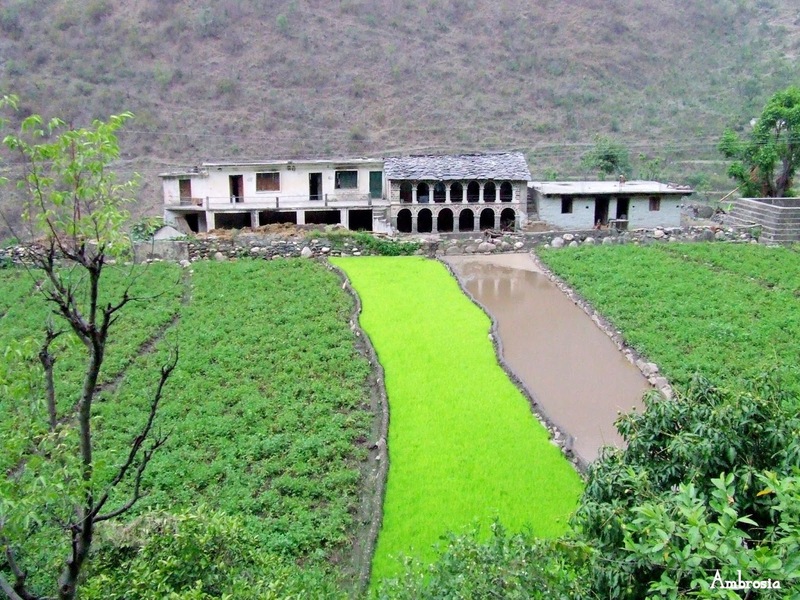 The natives of the hills – the highlanders, grow their own food. Food is simple, comprising of whole grains, lentils, legumes, vegetables and fruits and is lavish in terms of variety. Lunch is generally grand, comprising of rice, chapattis, lentils, raita, vegetable and salad. Lunch is had very early after which people leave for working in the fields. 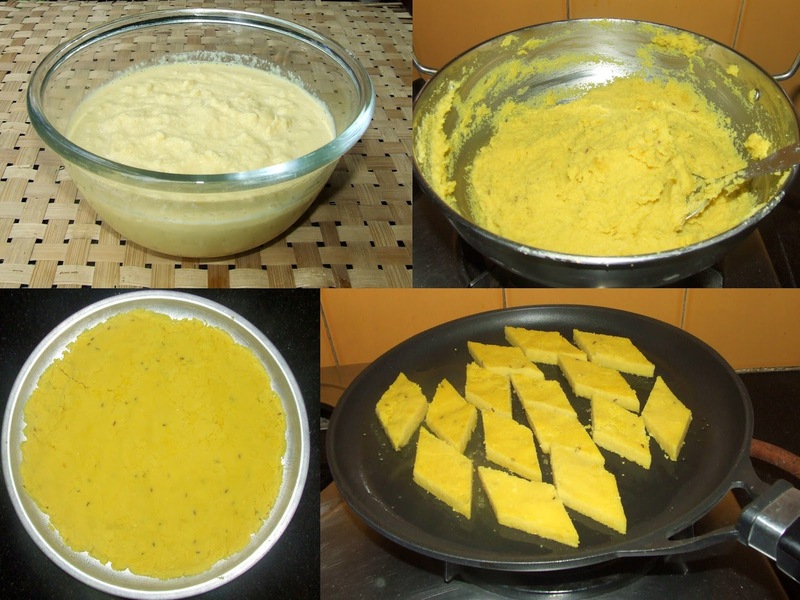 Badeel is popular Kumaoni dish. It is with the main course. It is made of Bengal split grams (channa daal) and flavoured with garlic and ginger. 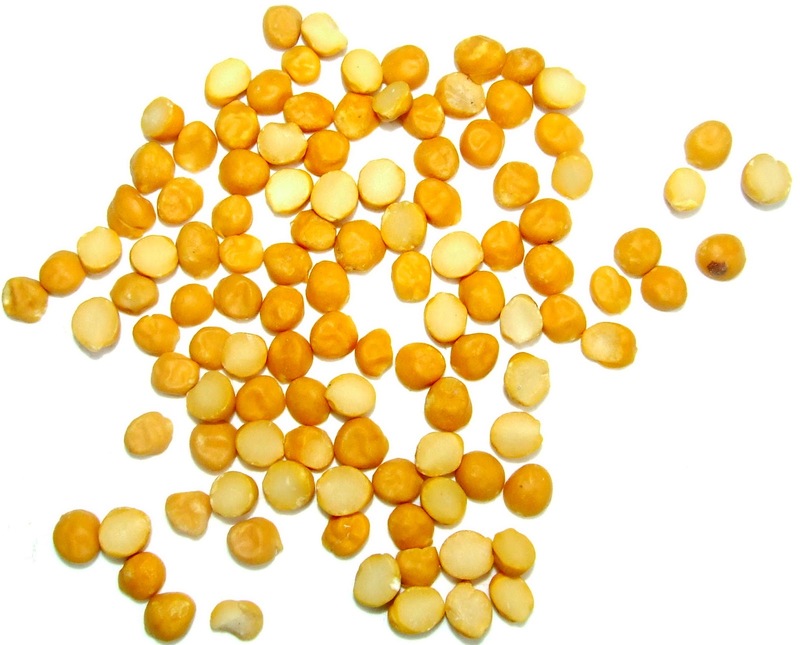 Wash and soak Bengal split gram (channa daal) overnight or for a minimum of 5 hours. Transfer soaked daal to the mixer. Add ½ cup water and grind it along with salt, garlic, ginger and green chilies. The paste should be fine. Take mustard oil in a thick bottom steel wok. Heat mustard oil. Add cumin. Turn off the heat. 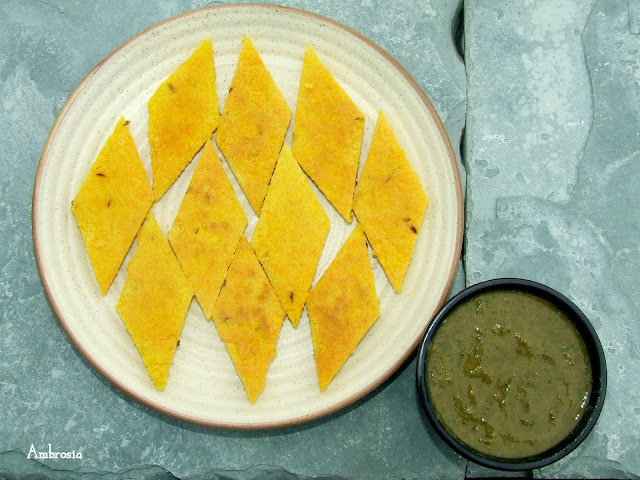 When the oil gets a little cold, add daal paste. Taste salt at this stage. Add more if needed. Turn on the gas to the medium flame, stir the paste continuously. It will stick to the bottom of the wok and to the sides. Scrape down the mixture and keep stirring. When it begins to boil, reduce the flame and cook on low flame stirring continuously. The mixture begins to change colour, becomes thick and the raw smell goes away as it gets cooked. Keep stirring. When the mixture becomes thick, reduces in quantity and begins to leave the bottom of wok while stirring, it is done. Turn off the heat. Grease a plate. Let the mixture cool for about 10 minutes. Drop the daal mixture in the plate. Apply some oil in the palms, and spread the mixture to a uniform thickness in the plate by pressing with hands. After 10 minutes, cut diamond shapes with a sharp knife. Keep aside to cool completely. Heat a non stick pan. Add 1 tablespoon of vegetable oil. Add the badeel pieces and cook on medium flame till they turn pink. Turn and cook on the other side. 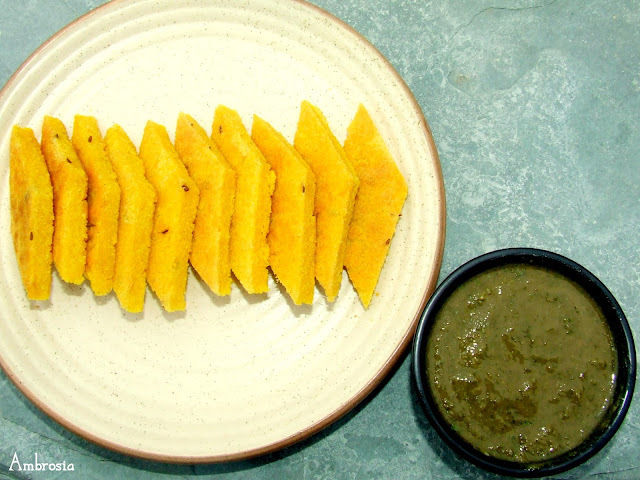 Serve hot or cold with coriander garlic chutney. My notes: Take care not to overcook the mixture as it will become hard and dry. Turn off the heat when it just begins to leave the sides of the wok while stirring. This is such an interesting dish! Very new to me. It reminds me of dhokla. At first glance I thought it was some burfi, bu then you titled it snack! 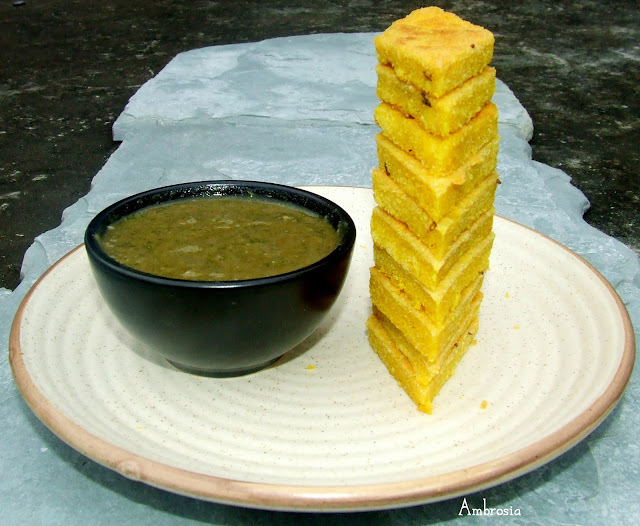 so got me wondering :) Lovely recipe. Kumaon truly looks breathtakingly beautiful. And I loved the local snack called Badeel. There is so much to learn from the local cuisine of India. It amazes me how the same ingredient is used in a unique way in each area. Thank you for introducing it to me. What an amazing post! I get to see some of the most beautiful scenery on earth along with another new recipe to tuck under my belt...I LOVE international blogging explorations :). This is something I'm seeing for the first time. And I like the sound of it. Thank you for participating in this edition of MLLA. Looks yummy Namita! Its been some time since I had good pahari food. 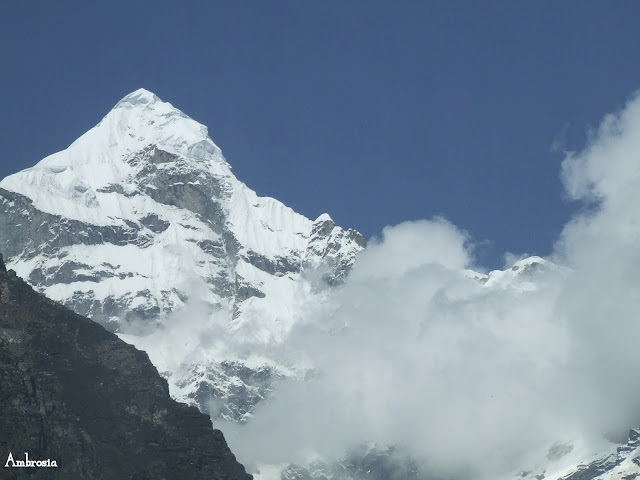 I love the photograph of Himalayas especially especially Neelkanth from Badrinath. Loved badeel also. Will definitely try this. Thanks a lot for helping me.